Marloes Coenen is a Dutch mixed martial artist. She has competed professionally since 2000 and is a former Strikeforce Women’s Bantamweight Champion. Coenen is currently the #2-ranked 145-pound female MMA fighter in the world according to the Unified Women’s MMA Rankings. Coenen’s brothers and grandfather were both involved in martial arts, with the latter having trained in jiu-jitsu, and this aided Coenen with her own transition into the sport. She began training with Pierre Drachman and Martijn de Jong at Shooto Holland while only 14, who recalls that, “I really had respect for that, because it didn’t matter if it rained or snowed. She still kept on coming.” She started martial arts training because she had to bicycle alone through a lonely part of the forest to and from school, and she had heard rumors that there were “dirty men in the forest” who preyed on girls. Along with her competitive career, Coenen is planning to study Communications Sciences in Amsterdam with a goal of future employment in that sector. Coenen debuted in mixed martial arts in November 2000 and scored eight consecutive victories, winning the 2000 ReMix World Cup along the way. This was the first female MMA championship making her the first ever female MMA champion. On October 27, 2009 Coenen competed on the card in a rematch against Roxanne Modafferi. She defeated Modafferi by armbar submission in the first round. Coenen faced Sarah Kaufman for the Strikeforce Women’s Bantamweight Championship on October 9, 2010 in San Jose, California. Coenen won the fight by submission due to an armbar in the third round to become Women’s Bantamweight Champion (135 lbs). Coenen was scheduled to defend her Strikeforce title against Miesha Tate at Strikeforce: Feijao vs. Henderson on March 5, 2011. Tate was forced off the card due to injury. Liz Carmouche stepped in on short notice to face Coenen for the title. Coenen defeated Carmouche via triangle choke in the fourth round. She instead signed on as the first contracted athlete to Invicta Fighting Championships. Coenen returned to 145 pounds to headline the first all-female Invicta Fighting Championships card against Romy Ruyssen on April 28, 2012 in Kansas City, Kansas. She defeated Ruyssen by unanimous decision. Coenen faced Fiona Muxlow at Dream 18 on December 31, 2012. She defeated Muxlow by armbar submission in the first round. 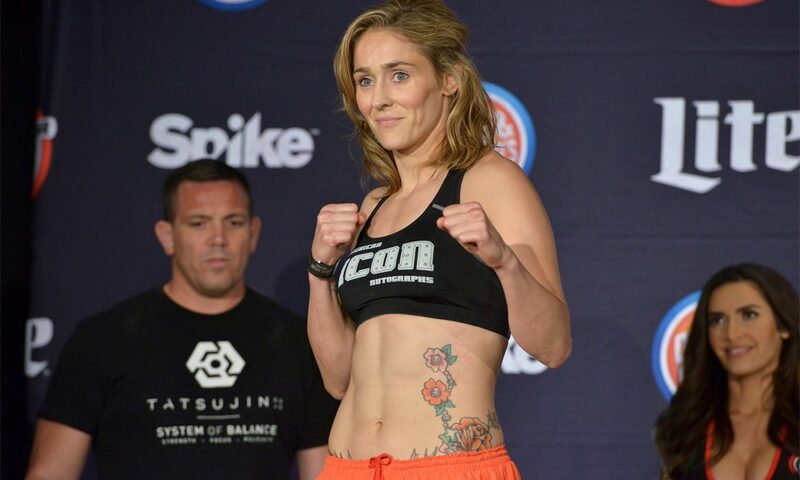 In August 2014, it was announced that Bellator had signed Marloes Coenen along with Julia Budd. Coenen made her debut against Annalisa Bucci on October 24, 2014 at Bellator 130. She won the fight via submission in the third round.